From the deep South comes a snow white candy enjoyed everywhere during the Holiday season – Divinity. You will find this heavenly treat on elite hostess dessert trays from Manhattan high-rises to Louisianan vintage residences nestled among the sweeping evergreen pines. Yet few know that this angel white winter treat was launched onto the national culinary scene in 1903 by the Corn Products Refining Company of New York and Chicago to promote their new light corn syrup. Prior to the arrival of this then new product on market shelves, housewives had to lug a syrup jar to their local grocery store. There they refilled their own heavy kitchen bottle with thick inconsistent syrup from a standing corner keg. Then they had to carry it all the way home along with all the other groceries. And if anything broke - What a mess! What a pain! Imagine their delight when in 1903 they discovered Karo Syrup, named after Caroline, the wife of the leading firm chemist who perfected the even flowing sweet corn syrup formula. Here was a syrup easy to purchase in a single bottle and easy to use. 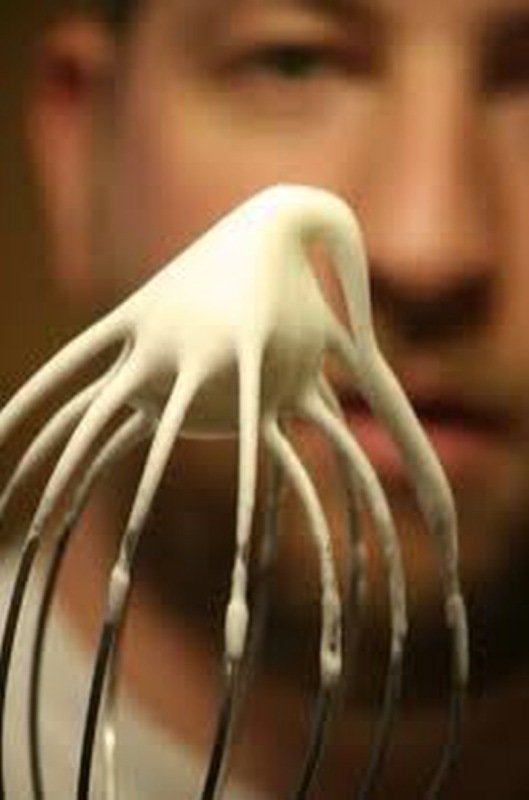 Eager cooks could now pour a quality boiling corn syrup into flavored beaten egg whites until they formed perfect sweet candy clouds light as snow. Divine! Christmas Perfection! Divinity soon became a favorite holiday sweet throughout the whole United States, thanks to the convenient availability of Karo Light Corn Syrup in nearby neighborhood markets. And though other outstanding Karo recipes have emerged (the Karo pecan pie recipe is still a great favorite everywhere), none can displaced the heavenly taste of divinity by the twinkling Christmas tree. It’s simply the taste of Christmas made divinely deluxe – Enjoy! Posted on December 21, 2010 by Ana Kinkaid.